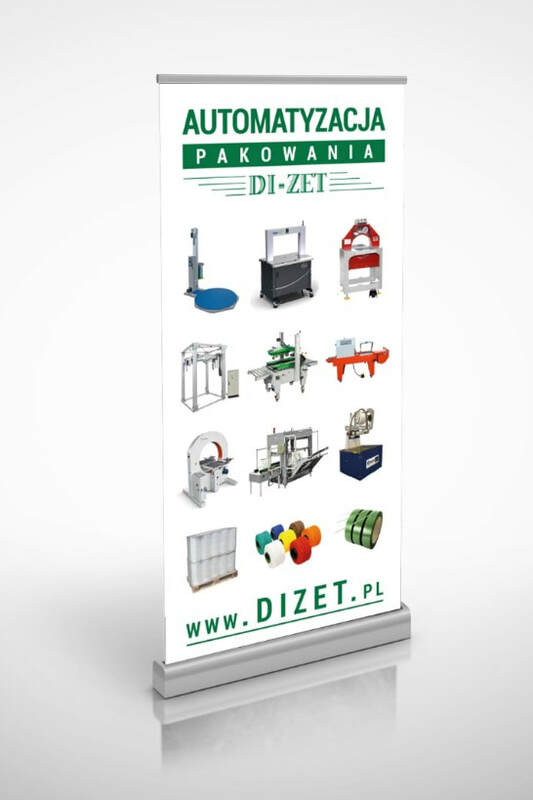 WARSAW PACK 2019 International Packing and Packaging Technology Fair will take place at Ptak Warsaw Expo from 5 March to 7 March 2019. This will be the fourth edition of the event that is popular with both exhibitors and visitors. 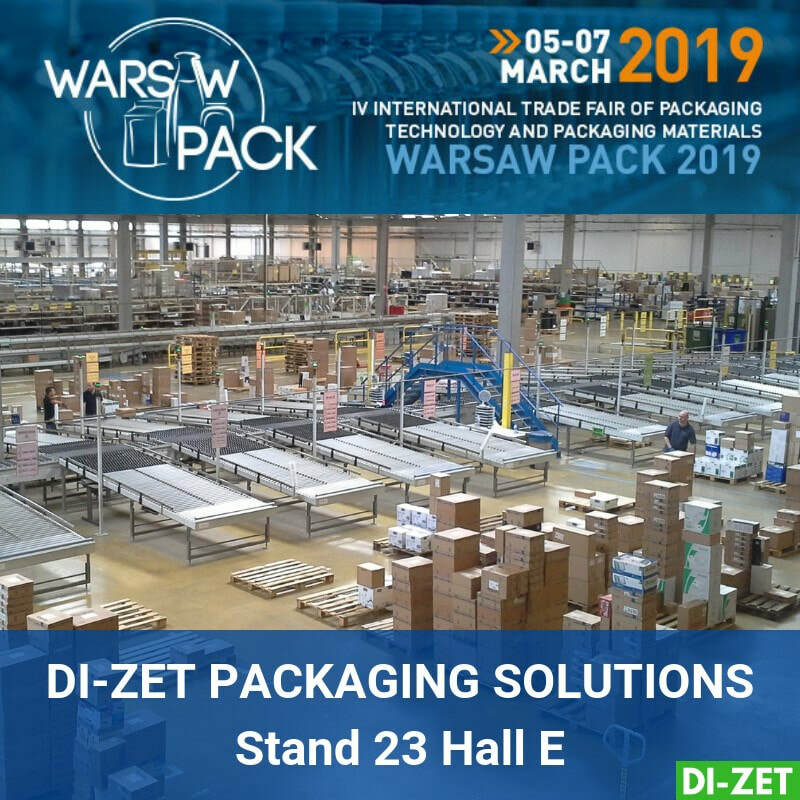 The company DI-ZET, a packaging solutions provider invites you to visit stand 23 in hall E during the Warsaw Pack 2019 Fair. The exhibition will be divided into thematic zones: Packaging Techniques, Automation and Robotics, Packaging, Labels, Labelling and Prints, Materials, and e-Commerce. ​The latter will be a new theme at the event. Market research indicates a growth in online trade by 2020 and its value in Poland will amount to nearly PLN 70 billion. The effect of such growth in the industry will be increased needs for the automation of packing processes of goods and shipments, and a higher demand for materials, boxes, labels, fillers, machines and software. We are the first event in Poland that has started the presentation of the e-commerce channel, showing solutions and products used by the leaders of the online sales industry, medium and small sales platforms, and packaging centres. In 2017, 54% of Polish Internet users bought online by 4% more than in 2016. This was about 15 million people and hence the millionth number of packages that needed to be packed, labelled and sent. The Packaging Technique Zone will present machines for unit packaging, bulk packaging and transport packaging. Packaging is the last phase of the manufacturing process. Large global companies have automated their processes on production lines, improving efficiency and plugging the gap in staff shortages. Civilization trends guide humanity towards ecology and, for example, healthy eating, which prompts the development of new and selected products on the market. These are produced by medium and small enterprises, and even family farms. The companies producing machines also provide solutions for a smaller scale of packaging products that will be presented at Warsaw Pack. The Packaging Zone offers ready-made packaging made of paper, cardboard, glass as well as plastics. Plastics have received huge global attention in recent years, and although biodegradable materials have been developed that started to appear on the Polish market, they will continue to develop in the future, which is why there will be pioneers in the area of these materials among our guests. An indispensable component presented during the Fair are labels and labelling machines. Today, label is the carrier of a lot of information required from manufacturers by directives and laws. For a manufacturer, label is a controller responsible for the quantity of the product, for example, in a given batch, for the expiration date, inventory, etc. It is a marketing medium. With the label and a mobile device, the consumer can check the calorie content of the product. Labels equipped with sensors for theft, temperature and volatile compounds are part of everyday business. Owing to the combination of experience and creativity, as well as the substantive support from the Programme Board, the members of which are industry leaders such as ABB, Automatyka, Bizerba, Coffee Service, Fano, Fenix Systems, Kram, Masterpress, Merieux, Rekopol, Mlekowita, Pakmar, Plastech, Polpak, Polish Chamber of Packaging, Sotrer, Radpak, Tarczyński, and Ulma, during the third edition of Warsaw Pack 2018 we organized a highly rated conference: "Closed Loop Packaging - Challenges for Designers, Manufacturers and Users of Packaging", which attracted also a wide group of the exhibitors’ guests. "Modern Packing - Eco-Transformation of Packaging and Labelling Techniques"
During the Exhibitors’ Night, awards will be presented to exhibitors and members of the Polish Chamber of Packaging on the occasion of the 25th anniversary of the Chamber. Owing to the comprehensiveness of the presented solutions, during these three days professional visitors will have an opportunity to see a vast array of products and services for the packaging industry. Coming to Warsaw Pack means a unique opportunity to make new valuable contacts. During the upcoming edition, we are going to arrange for our partners the possibility of dedicated business meetings with foreign contractors. This Fair has become a fixed event in the industry calendar. This is due to several factors: reaching the largest group of professional visitors, a unique location - in the administrative and decision-making very centre of Poland, easily and comfortably accessible from/to downtown Warsaw and Fryderyk Chopin airport, from/to which we will provide you with free transport (shuttle bus). Understanding the importance of comfortable car transport during the Fair, we will provide you with 15,000 free parking spaces. Warsaw Pack is an event created to meet the needs of the industry, which has recognized the rapid development of the Fair. The event has been developing owing to the trust of our exhibitors, who appreciate the vast array of marketing activities and the professionalism of our services. To effectively reach your target groups, we are present in social media, industry and nationwide press, radio and television. In 2018, the event had visitors from 29 countries, who could see 200 brands exhibited over an area of more than 20,000 sq. m.